It’s here! The audiobook is out for THE FIRE SEER! The narration is by the very talented Scott Richard Ehredt. I’ll let him introduce himself by answering a few questions. Amy: How did you become an actor? What training do you have, and what are some of your favorite roles? Scott: I’m not entirely sure just how one becomes an actor. I think it’s a genetic defect that happens at birth. I’ve been entertaining since I was old enough to hold a hairbrush “microphone” and pretend I was Elvis for my family. And the disease only got worse when I discovered the Drama Department in Jr. High School. I went on to study at university and, while a degree in Theater is rather useless, the knowledge and skills acquired are priceless. I left my university studies behind when I landed my first acting gig, and never looked back. I love every aspect of performance. From acting to singing, from MCing shows to, now, audiobooks. Whether it’s live theater or in front of a camera, the process is pretty much the same. And the process is the art. It’s remarkably similar whether I’m working to create characters as diverse as Littlechap in Stop the World, Berger in Hair, the King of Siam in The King and I, and Jesus in Jesus Christ Superstar for live performances, or doing a stint on TVs’ General Hospital! Its an immersion process. And one of the great side effects is that it expands the mind and allows one to see the world–real or imagined–from a whole different aspect. I truly love it. Amy: What drew you to narrating audiobooks? Scott: It’s an actor’s life to always be looking for new avenues of performance and, honestly, income! 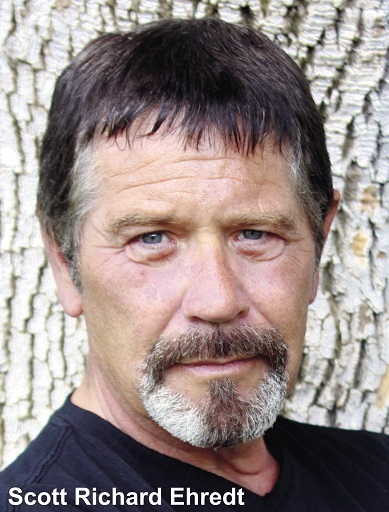 I’ve been lucky to have always been able to support myself as an actor. Here in LA, where most actors are waiters or bartenders, that is a proud accomplishment. So, when I was told about this by a musician friend, I investigated. Then I jumped in! It combines two of my favorite things: books and performance art! It’s a win/win! The challenge of a full performance without sets, costumes, fellow actors, etc., is irresistible. Amy: Tell us about the process of narration. What’s involved in recording a chapter, and how do you bring the story and characters to life? As for voicing, I found a trick that I’m hesitant to divulge….but what the heck. Most characters end up sounding at least a bit like other actors. It helps me keep them straight in my head! I don’t “imitate” these other actors. But I use their voices as a base and develop out from there. It’s as if I’ve cast these other roles. Then, when it’s time to be one of these characters, I glimpse them in my head and the voice comes. Yes, actors are schizophrenic. But if you listen closely to The Fire Seer, you may hear Peter O’Toole, Roger Moore, Richard Burton, Sean Connery, Alec Guiness, and me. There’s a lot of me. What I found most challenging were the female voices. I had to be careful not to slip into a caricature of a female voice and sound silly. This is where an internally-driven method of acting comes in handy. By adopting a more feminine mindset, the voice comes out, hopefully, with a hint of feminine sound. Of course, mentally casting Julie Andrews, Judy Densch and other fine female actors is a great help! With the character in place, the book is simply read…and the story unfolds as though the listener is reading the words. I’m mindful to never get in the way of that. I never want to be so jarring or outrageous in characterization or narration that it takes the listener out of the experience they would be having if they were reading the words themselves. It’s a fine line and a balancing act. And I’ve discovered that it’s a lot of fun! I should add that raising three children–and reading to them a lot–is great prep for becoming an audiobook narrator. Now, as then, I always keep in mind that I am reading to someone. It helps. Amy: What sort of books do you like to read? What do you like to do in your free time? Scott: I love to read and I read just about anything and everything. Some of my favorites are Ayn Rand’s Atlas Shrugged, Cormac McCarthy’s The Road, Winston Churchill’s WWII histories, and the Ian Fleming James Bond books. I’ve also recently discovered and become obsessed with Bernard Cornwell. He writes wonderful historic fiction and I’m particularly impressed with his Saxon Tales series. When I’m not performing, I’m usually on horseback. I have two outstanding mounts named Solitude and Solitaire which are my recreational passion. There is nothing in this world to get me centered and relaxed like a few hours…or even a few days and nights….riding in the high desert or mountains outside of LA. Winston Churchill famously said, “There is nothing so good for the inside of a man as the outside of a horse.” He was right. This entry was posted in Uncategorized and tagged audiobook, interview, narrator, new release, scott richard ehredt, the fire seer. Bookmark the permalink. 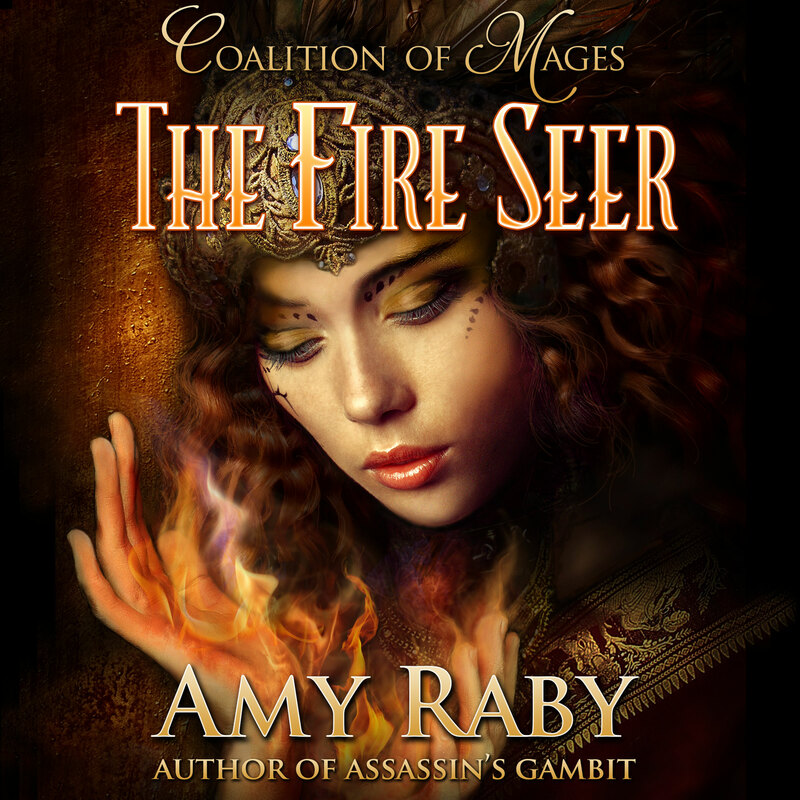 6 Responses to THE FIRE SEER is now out in audiobook form! Thanks, Britney! I had mixed feelings about whether to go with a male or a female narrator for this one, but ultimately went with a man because I feel that in this series, Mandir has the larger character arc (that is, he changes the most). In some ways it is more his story than it is Taya’s. Amy, congratulations on your audio book release! Scott, it’s great to meet you! You had me laughing. I’ll definitely be listening for those actors you mention in The Fire Seer! Can’t wait to plug this baby into my car and listen while I commute! Thanks, Jessi! I hope you enjoy it! I adore Scott Richard Ehredt. He’s currently working on my own book…and I have nothing but praise for him. I wish you all the very best of luck with your book Amy Raby! !